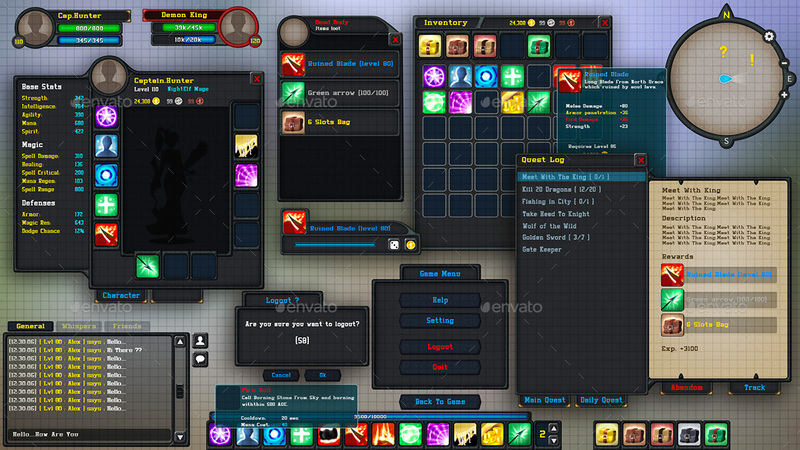 RPG Game GUI is complete game UI Kit, suitable for RPG, MMORPG, Adventure and Fantasy games. All buttons, assets and user interface are 100% Photoshop vector, fully editable vector shapes & editable layer style. Well organized and well named. 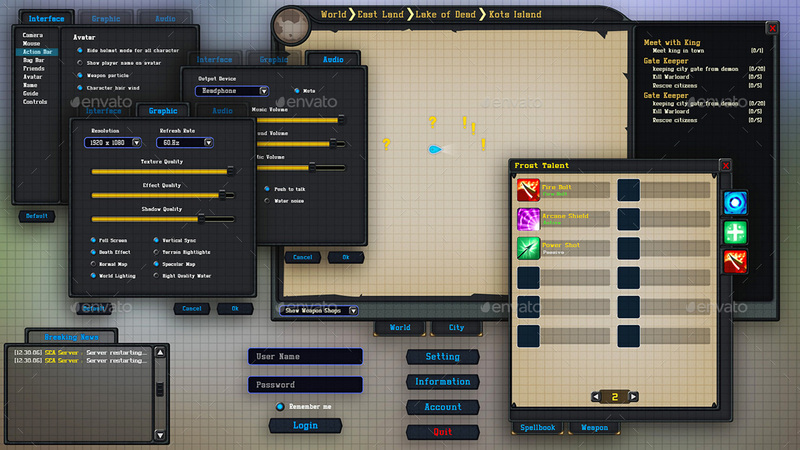 Preview image guide for all UI flows. All Asset are in full HD resolution (1920*1080) and mobile ready. You can edit & rescale all assets in photoshop by using pen tool or you can use ready made PNG assets. 12 bonus spell icons & 5 bag icons for present. Free future updates and Free support. For commercial game you can purchase Extended License only for 48$.